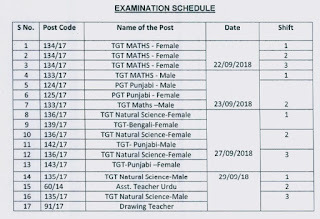 DSSSB PRT TGT PGT Result 2019 - DSSSB Primary Teacher, DSSSB Oofficial website, DSSSB Scorecard Marks Sheet - www.dsssbonline.nic.in or www.delhi.gov.in. 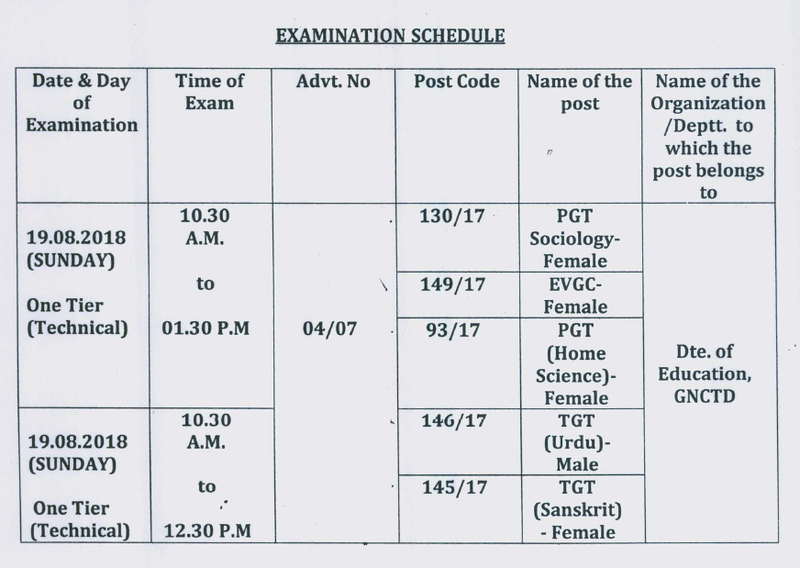 DSSSB has released exam schedule for the post of primary teacher which is going to be held on 30th September 2018, 13th October 2018, 14th October 2018 and 28 October 2018 at various exam centre across the city. The candidate can download the admit card for DSSSB PRT post code 1/18 & 16/17 by using their application number provided on the application form and date of birth. The link to download DSSSB PRT Admit card is provided in the end of the page. 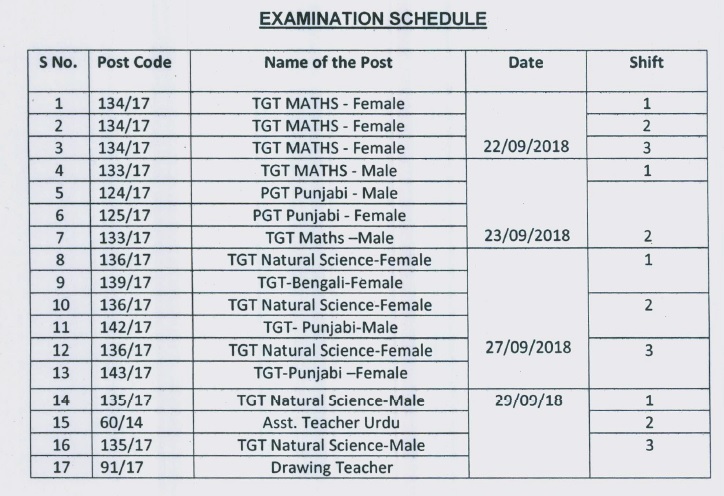 Latest news on 6th September 2018 DSSSB has declared the result of PGT post graduate teacher on official website the candidate can download it from the link. 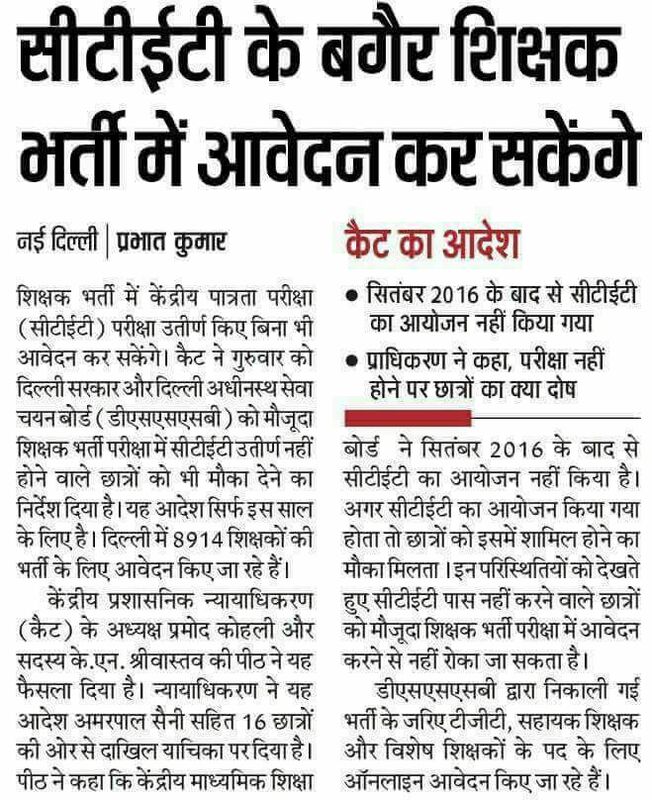 Latest news on 24th August 2018 delhi Subordinate Service Selection Commission DSSSB Admit card 2018 released for assistant teacher nursery and TGT English male for postcode 88 /17 and 131/17 respectively. 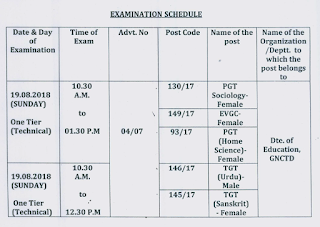 The entrance exam has been scheduled on 02nd September 2018. The link to download admit card is provided in the end of the page. On 22.06.2018 – The online link to download PGT Admit card for English, Chemistry, Biology & Economics have been activated now. Latest News (05.01.2018)- The online applications have been started submitting now. Those candidates who have filled previous application forms for DSSSB through online mode they can use the same application number and password for this recruitment process.